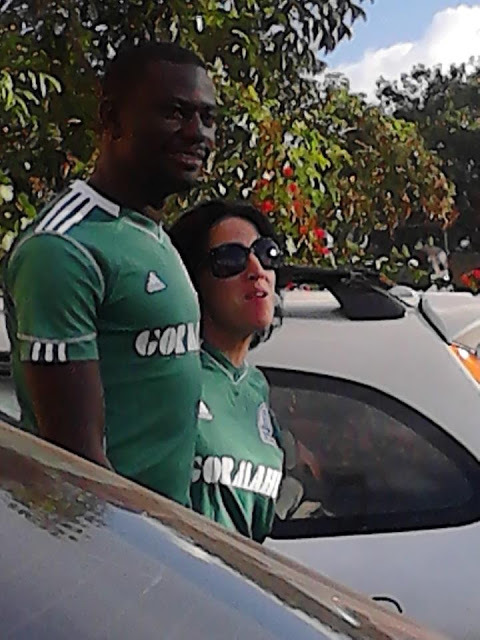 If you wish to see all sorts of crazy things then you should stick around Gor mahia fans after they have won a match. A luo Guy and his Mzungu girlfriend have caused ripples on social media after they took their hot moments at the parking lot. The two who were caught on camera exchanging mouth watering Kisses in public almost transformed the parking lot into a bedroom.